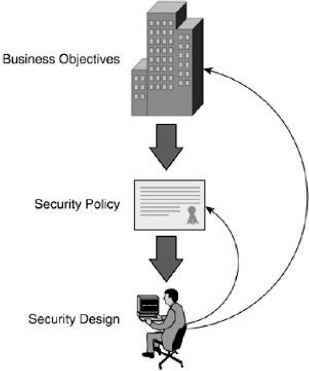 This concept has been touched on already, but it bears repeating. 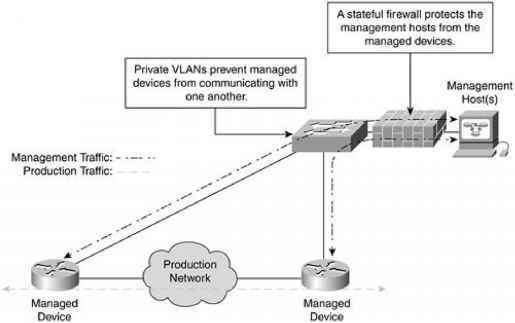 When you deploy a firewall, defining the traffic types you must permit is a lot more secure than defining the types you think you must deny. 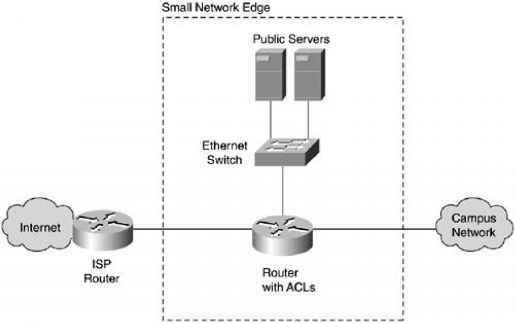 Whenever you build an ACL, try to follow this principle. 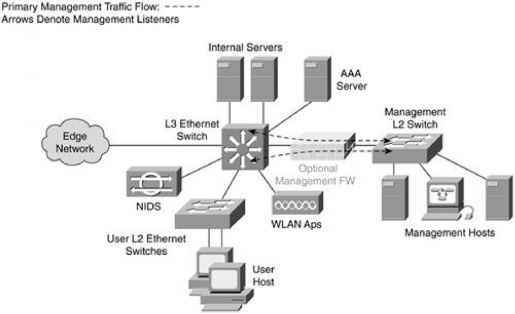 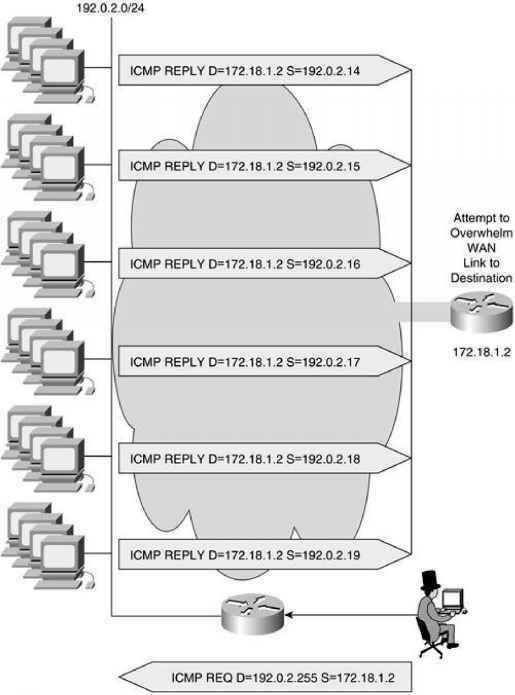 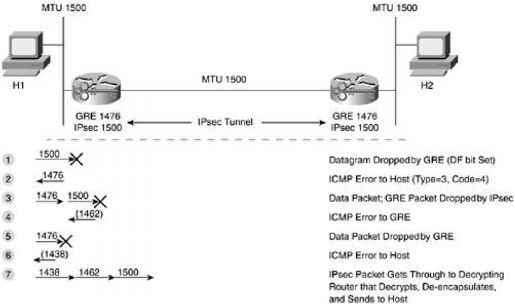 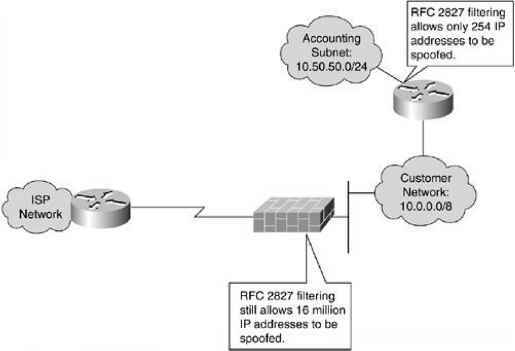 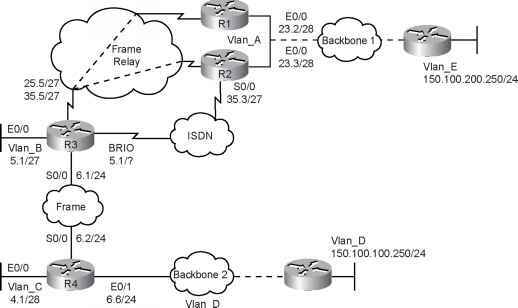 Permit the traffic types you need for your network to function and then deny everything else. 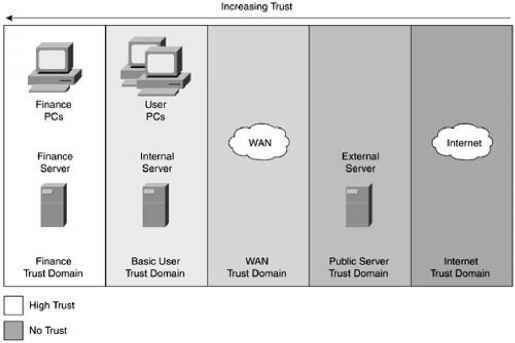 Larger organizations might have difficulty defining what is needed, especially if they have been less concerned about security historically. 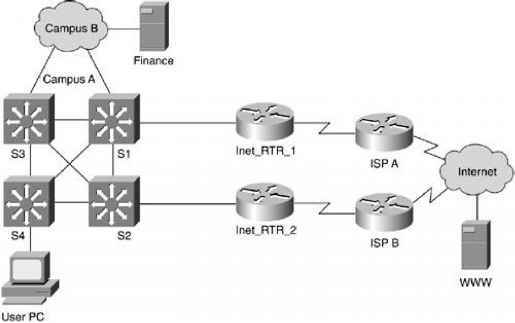 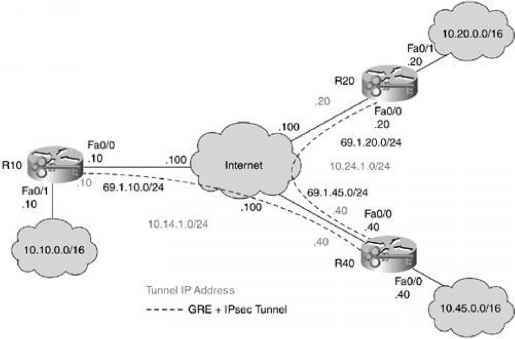 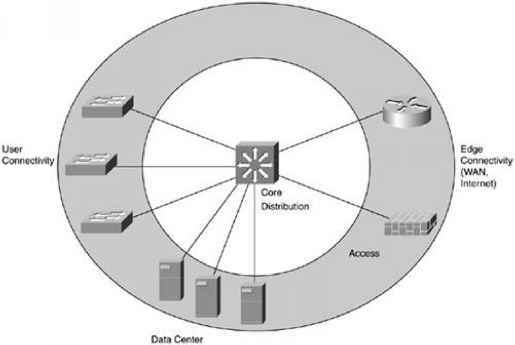 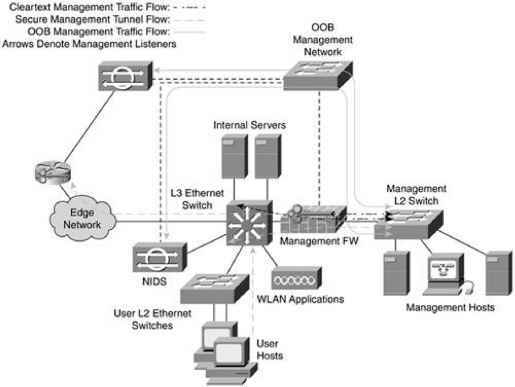 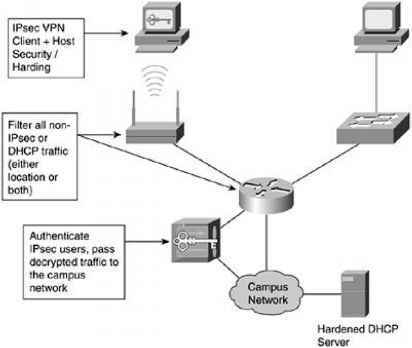 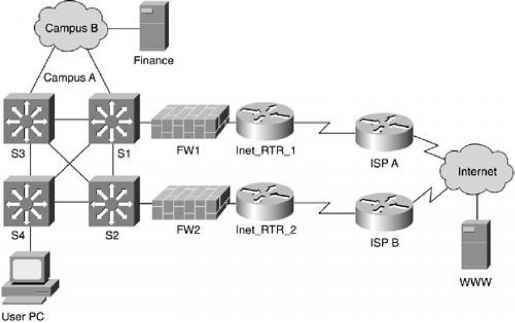 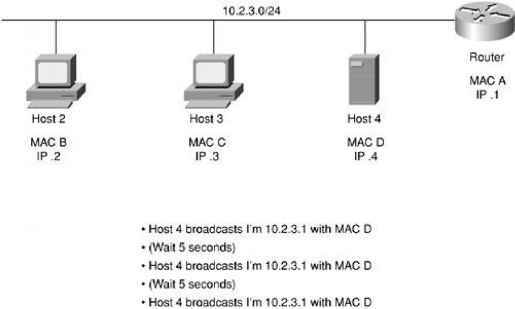 In Figure 12-4, you can see there is still a distinct access layer for user connections and edge connectivity, but in the case of the data center devices, the core switch is acting as an access layer for them as well. 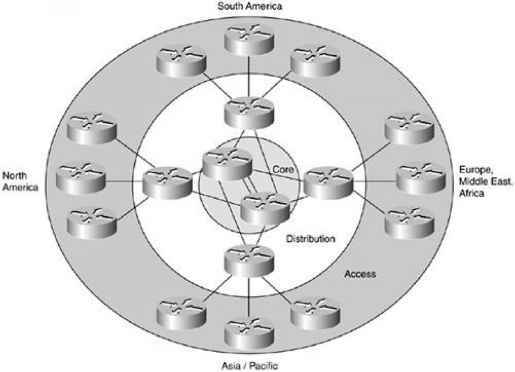 This design is very common in midsize networks. 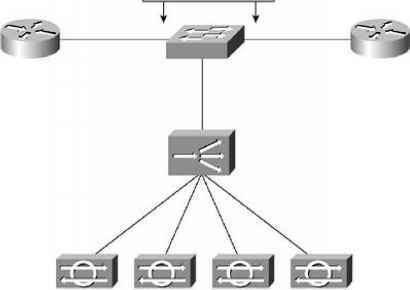 In even smaller networks (Figure 12-5), all three layers can be collapsed into a single device (sometimes even an L2 switch rather than an L3). 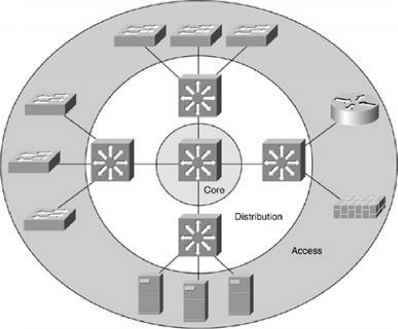 Here, only the edge connectivity is separated as an additional layer. 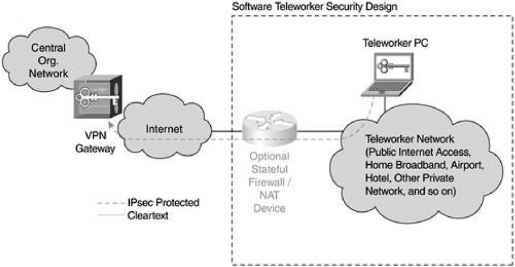 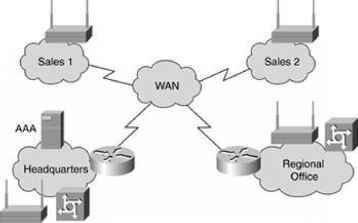 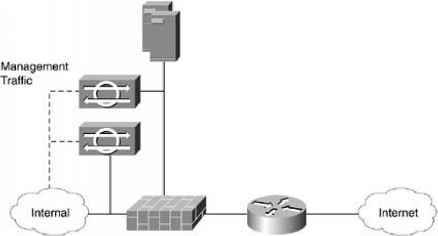 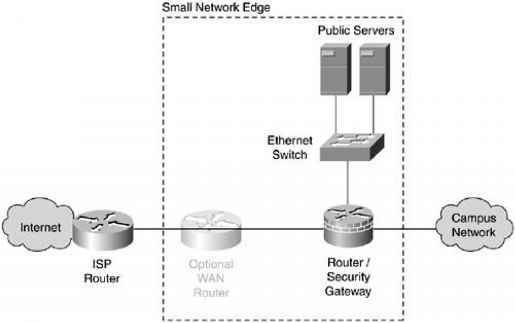 As you can see, the small network edge compresses the essential network security elements into a single security gateway. 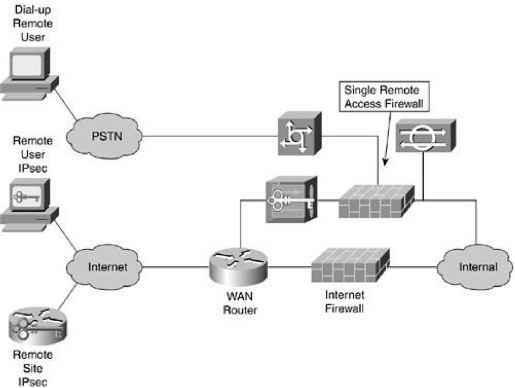 Dividing functionality into different devices doesn't make financial sense in a network of this size. 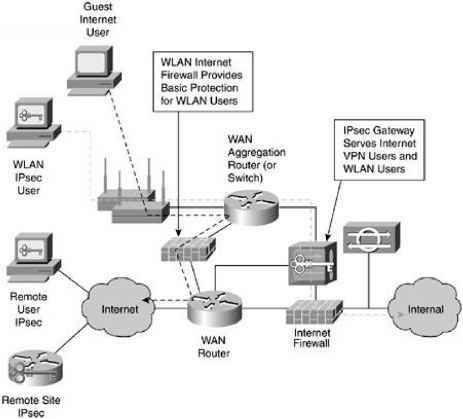 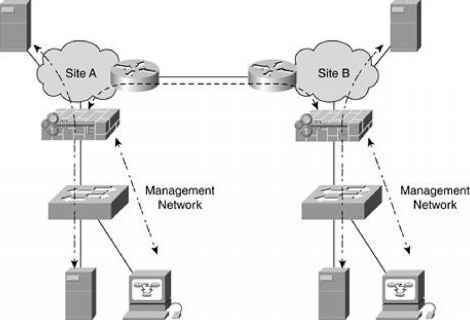 As a result, careful attention must be paid to the integrity of the gateway's configuration. 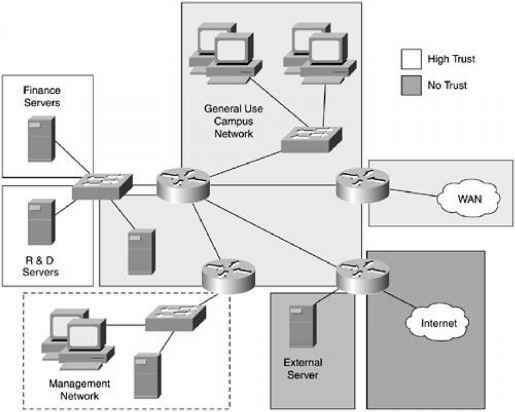 Manageable systems are a key element in this design because, with as many functions as you will configure on this one device, mistakes are likely. 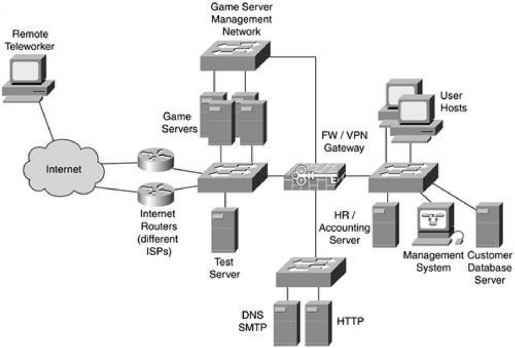 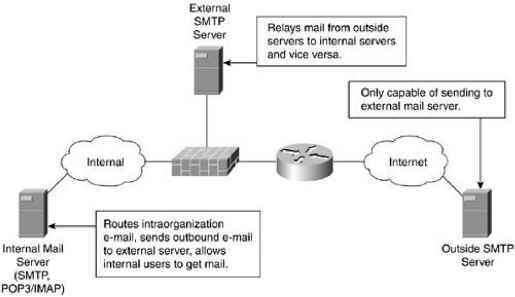 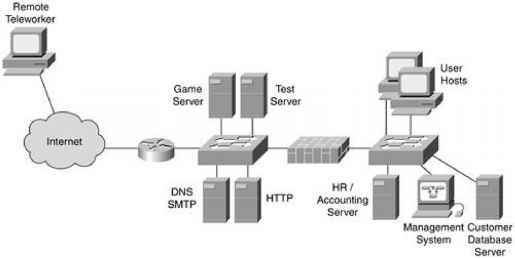 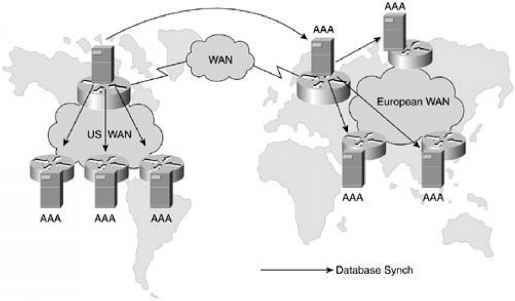 Here you gain two principal benefits over NIDS in front of the firewall Attacks detected by the NIDS have already passed through the firewall, making their potential impact, and consequently the degree to which a SECOPS team will want to be made aware of the attack, greater. 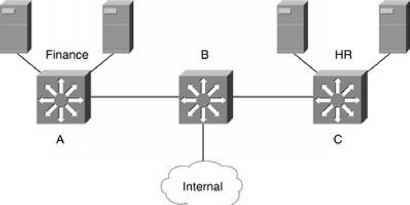 In the case of the public services segment, a NIDS deployed here is easier to tune because it is dealing with a limited set of hosts and services.